2.2 What Should You Consider During the Shopping Process? 3 How Do Heating Pads Work? 4 How to Use a Heating Pad? 4.1 How Hot Can a Heating Pad Get? 4.2 Are Heating Pads Safe? 5.1.1 Are Heat Pads Good for Neck Pain? 5.2 Does a Heating Pad Help If You’re Dealing with Cramps? 6 Can You Use an Electric Heating Pad while Pregnant? 7.1 Can electric heating pads cause cancer? 7.2 Should you use heat or ice for pain? 7.3 Does a heating pad reduce swelling? 7.4 Should you sleep with a heating pad on? 7.5 Who should avoid using a heating pad? Did you know that the use of heat therapy goes way back – more specifically, back to 500 BC? Namely, around that time, Egyptians and Greeks would resort to heat therapy in order to treat their ailments. Over the centuries, the popularity of this approach has expanded, as more and more people would choose thermal baths, springs, hot stones, and volcanic hot air caverns in order to deal with their illnesses. That’s mainly because, through the application of heat on an affected area, you actually generate an increase in blood flow. This optimizes the flexibility of your connective tissues. Since you cannot take a thermal bath on a regular basis, you can choose an alternative solution – namely invest in the best heating pad. This can make the world of a difference in your effort of dealing with chronic pain. On a different note, our heating pad reviews should come in handy if you’re not sure about the best product for your needs. Pad Size : 20” x 24"
Pad Size : 24” x 12"
If you’re on the lookout for a versatile heating pad, then this is a good alternative. For one thing, you can use it to treat sore muscles, in nearly any part of the body – namely arms, legs, abdomen, back, shoulders, so on and so forth. It comes with a bunch of handy smart features, as well. There is the memory function and the temperature setting, which enables you to customize the pad depending on your preferences. In addition to that, the auto shut off function comes in handy. People suffering from Lyme disease will most likely find this acquisition practical. That’s because this really targets sore muscles and tendons, allowing them to better cope with pain. The construction of the unit seems to be sturdy. This comes with a high level of durability, which is a major plus. Another noteworthy benefit is that it is quite lightweight, which is great for storage. This is a best-selling heating pad, and it is so for several reasons. First of all, this is an extra wide heating pad, which means that its coverage comes as a noteworthy advantage. You can place it on your shoulders, lower back, legs, as well as other larger groups of muscles. It is surprisingly efficient, in the sense that it only takes a couple of seconds until the unit is heated up. In addition, the heating pad is made from soft micro plush, thus facilitating a high degree of comfort. Plus, you should be pleased to know that you can wash it in the washing machine, which will significantly make your life easier. Depending on the type of pain you’re dealing with, the pad can be used dry or moist. For the most part, it is recommended to use the pad moist if you want it to penetrate deeper into the skin. In this case, the pain relief you get would be much more profound. You can try both options and notice the difference yourself. 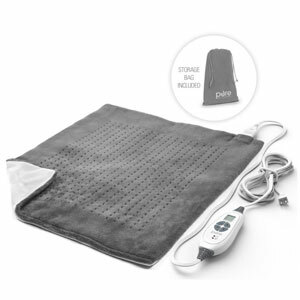 Moving on to another reliable product that is well worthy of your attention, this heating pad allows you to choose from 9 individual heat settings. That is precisely what we would call versatility. There are also 4 separate shut off settings. This means that you can genuinely enjoy fully customized therapy. As for the material itself, it is cozy, soft and comfortable – what more could you ask? This is why the item does a decent job at offering pain relief. You also get a bunch of washable covers, and a handy carry pouch you can use if you want to take the heating pad with you on your trips. Another aspect that is extremely important is its versatility. This is ultimately dictated by the width of the pad, which is notable in this view. You can effortlessly wrap it around your back, knee, etc., depending on the area that troubles you. This is not your typical heating pad. The most notable characteristic of this item is actually its design. This does an excellent job if you’re troubled with neck and shoulder pain, upper back pain, and the list could go on. If you feel stressed, anxious or you’re dealing with joint stiffness and inflammation, this heating pad will allow you to address your problems. The material is soft, not to mention that there are three personalized heat settings to choose from. Another important characteristic would be the smart temperature control. But that is not all, though – we would also like to outline the efficacy of fast-heat technology. Thanks to this, in roughly 10 seconds, the heating pad is ready to use at the desired temperature. Aside from this, the heat is distributed evenly, so that you don’t notice any differences in this respect. If you are struggling with cold feet, regardless of the time of the year, then this electric heated foot warmer will be a lifesaver. Poor circulation can be a drag, making you feel cold regardless of the type of weather outside. 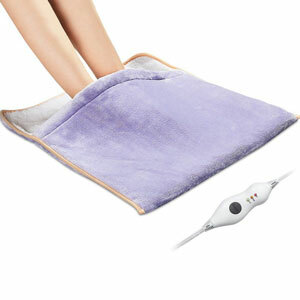 If you are sick and tired of feeling cold around the year, this heated foot warmer can do wonders. It will make you feel comfortable whenever you are working on your computer, watching a movie, so on and so forth. It is also quite large. However, note that this is more than a foot warmer. While this is its initial use, you can also position it on your back, on your shoulders, depending on the area where you feel any trace of discomfort or soreness. There are three different heat settings and you can use it for 2 hours. Afterward, it will automatically turn off. Nonetheless, it’s worth pointing out that the heat isn’t necessarily as consistent as in the case of other heating pads. But it will still do the trick, keeping you warm and cozy. Say goodbye to stiffness, muscle soreness and discomfort with this highly capable heating pad. It incorporates an LCD controller, which enables you to choose from 6 temperature settings. You can use it for two hours straight. Afterward, it will stop functioning on its own. The material is unbelievably soft, as you would expect from something that is meant to help you relax and get pain relief. At the same time, the micro plush material can be washed in the washing machine. 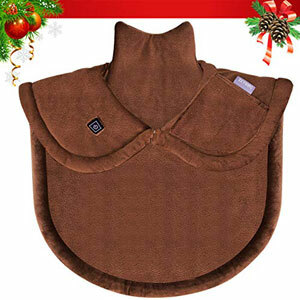 Since we’re talking about quite a spacious heating pad, you can even get this so that your beloved pet could sleep on it when it’s cold. Moving on to the length of the cord, it is quite decent – not too short nor too long, just right. Nevertheless, a potentially negative aspect could be that the plug is a tad difficult to remove. Overall, though, this product is a decent purchase, not to mention the overwhelming number of positive reviews on Amazon. This heating pad can do wonders if you’re struggling with chronic back pain – whether it is focused on your lower or upper back. You can regulate the heat setting to the one that suits you best. For example, some people might prefer a higher temperature, while others may want the exact opposite. At the same time, you shouldn’t necessarily expect to see results after using the pad for the first time. You should give it some time and, without a doubt, you will experience improvements in your back pain, or any other area that troubles you. Moving on to the maximum temperature of the heating pad, it is 70 Celsius degrees. We also noticed that the temperature remains pretty consistent, meaning that you won’t have to deal with any discomfort. Furthermore, you may use it directly on the surface on the skin. Or, if you prefer, you can place a sheet on your skin and apply the pad on the sheet. Next, we would like to direct our attention towards the main things you should assess before you go for it and get a heating pad. We’ve carefully organized the content to make the information easy to digest. For one thing, there is a large number of heating pads on the marketplace. And while this can be a positive thing, since it provides you with numerous options to choose from, it could still be confusing to most people. With that in mind, there are several types of heating pads, each coming with its set of characteristics. One way of categorizing heating pads is by separating them depending on the part of the body for which they are made. A significant percentage of the population deals with chronic back pain. Not only that this can be a source of frustration and inconvenience, but this can actually impair the quality of your life. To that end, the benefits of heating pads for back pain have been pointed out by experts. But we’ll get into more detail later on in the article when we’ll expand more on the health benefits associated with using a heating pad. So, considering that you want to target your back and spine, then you should get a wider heating pad. This way, you’ll have almost the entire back covered. On the other hand, you might also get smaller pads, if you find this to be more suitable for you. Perhaps the second most common type of pain is the one focusing on the shoulder and neck area. In general, the most common cause that triggers shoulder and neck pain is inflammation. This is what makes heat a good solution to this problem, as it aims at alleviating chronic pain. Of course, this doesn’t mean that, if you’re constantly struggling with chronic pain, you should ignore this issue. If you notice that it affects the quality of your life, then perhaps it would be a good idea to have it checked by a specialist. Perhaps the root of the problem is deeper, and it’s better to be safe than sorry. In general, neck and shoulder pain isn’t a cause of major concern. But in some isolated cases, it might point towards a more serious problem, and it’s best to eliminate this prospect altogether. Moving on, there are also heating pads that are designed expressly for targeting the area of the knee. There are also specific products on the marketplace that aim at keeping your feet warm granted that you have poor circulation in the lower part of the body. Once you point out the area of the body you want to target, you can start looking for the best heating pad. What Should You Consider During the Shopping Process? First, you should determine whether you want your new heating pad to come with a timer function or not. Obviously, this is not a necessity. Even so, this characteristic can come in handy if you want to regulate the functioning time of the unit. This makes it easy to determine whether you’ve used the heating pad for the right amount of time or not. As you’ve seen after reading our reviews, many of the products we’ve included in our guide come with this characteristic – namely the automatic shut-off function. In other words, after the unit works for a certain amount of time – usually two hours straight – it will stop functioning by itself. This is a good safety characteristic that gives you peace of mind. For instance, say that you leave the house and the unit remains plugged in, as you forgot to shut it down. This can jeopardize your safety. The same can be said in the case in which you might happen to fall asleep with the heating pad on an affected area. If the unit remains plugged in, this might lead to your skin getting burnt. Nevertheless, due to the auto shut-off function, you don’t have to worry about this anymore. On the other hand, this function might also be a source of frustration if you want to utilize the heating pad for more than two hours. It depends on how you put it. If you tend to travel a lot and you want to have your heating pad with you, then a cordless design might be just what you need. But this isn’t necessarily helpful for when you’re out and about, but for situations in which you sit somewhere, and you don’t have a plug in your proximity. If this is an important characteristic for you, make sure you assess it during the shopping process. 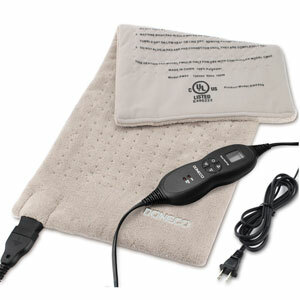 Moving on, a USB heating pad might also be a good investment for those who travel a lot. That’s because these units are much more space-efficient, in the sense that you won’t find it difficult to include them in your luggage. Nevertheless, on the downside, these units aren’t as durable as their counterparts. That’s because they are made poorly; by comparison, the materials used are also less sturdy. That is not all, though; the temperature range isn’t as wide as in the case of other units. To that end, if you want to use the heating pad at a high temperature, a USB heating pad might not be the right option for you. Furthermore, the size of the unit matters just as much. For example, if the affected area you want to focus on is wide – for example, the entire back, along with the spine – a wider heating pad might be a more sensible alternative. On the other side, if the area that affects you the most is not that large, then you might get a smaller heating pad. At the end of the day, your needs should dictate your decision. Make sure it’s this way – not the other way around. For instance, if you plan on using the heating pad every morning before going to work, then the efficacy of the heat-up time will be very important to you. Some models are really efficient in this respect, as they heat up to the desired temperature in roughly 10 seconds. Nonetheless, this isn’t a characteristic that comes with each unit, so make sure you assess this as well. Depending on the product and manufacturer, the heating pad might have more or fewer heat settings. Some people enjoy using the heat pad in several settings. In that scenario, the larger the diversity, the better. There are even some heating pads that remember your preferred settings, making the units very user-friendly. Nonetheless, if this characteristic isn’t that important to you, then you might oversee this. Does the length of the power cord really matter – you might ask? We find this to be quite important, as it will dictate whether you can use the unit where you want or not so much. If the power cord is short, then this will restrict your capability of using the unit wherever you want. On the other hand, if you’re already anticipating a location where you will use the heating pad on a regular basis, and that is already in the proximity of a plug socket, then this aspect shouldn’t condition you. This isn’t something you will find on every heating pad on the market. On the contrary, there are only a few models that feature wireless connectivity. Still, this might be important if you want to use the heat pad when you’re on the go, which would give you a high level of flexibility. Obviously, the material is just as important as any other factor. Whether you are looking for the best heating pad or anything else, a unit’s quality is, pretty much, influenced by its overall construction and material. This is why you should address this matter as well. Not only that it impacts the durability, but it also influences the ease of maintenance. For example, some materials can be washed in the machine, which can be really advantageous. Do you want to purchase a unit that can reach a high temperature or not? Each user has a set of preferences in this area, some would much rather opt for a lower temperature whereas others prefer a higher temperature. Depending on what works for you, you should factor this in before you purchase a unit. And finally, the heating method is worthy of your attention as well. In this view, you can choose from the following: electric heat, non-electric heat, infrared and microwave. After pointing out how you plan on using the device, you can determine the heating method that applies to your circumstances. 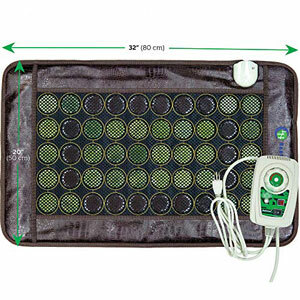 Basically, electric heating pads have a noteworthy advantage – namely that they are capable of reaching a significant temperature. At the same time, you don’t have to worry about recharging it or anything of the kind. 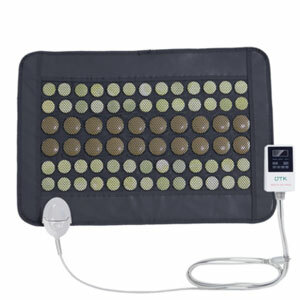 On the other hand, infrared heating pads promise a deeper, more profound treatment. That is to say, these units do more than simply heating the surface of the skin, reaching to a deeper level. As for microwave heat pads, these are filled with natural components such as lavender or wheat, being more on the affordable side. How Do Heating Pads Work? Essentially, many people are curious regarding the way in which heating pads work. To put it simply, such a unit aims at heating the surface of the skin. Through this, the sensory receptors are stimulated, which prevents the pain signals to be sent to your brain. In addition to that, thanks to the heat, the elasticity of the muscles is also increased. This aims at releasing the tension that is synonymous with muscle stiffness. Plus, heat therapy optimizes the blood flow, thus, bringing more nutrients to the areas where you experience a high degree of discomfort. Of course, it’s worth outlining that heat therapy is, by no means, miraculous or anything of the kind. Even so, it does an excellent job at offering relief in the case of common pains – specifically, the ones associated with a feeling of stiffness, neuropathic sensitivity, cramping, and so on. Supposedly, the reason why a heating pad is efficient is that it offers comfort. To that end, just as hair and scalp massagers come with their limitations, the same could be said about heating pads. This doesn’t mean they don’t work. It merely points out that they are only efficient for certain areas. How to Use a Heating Pad? Using a heating pad is easy. Now, let’s say that you are dealing with pain in the lower back. In this case, you should simply position the heating pad on the area. Many manufacturers recommend placing a sheet between the skin and the pad, as this will prevent burns. This is simply a means of precaution. You should simply lie down on the heating pad and allow the body to get used to the growing temperature. At the same time, it is contraindicated to use the pad for an extensive timeframe, especially at a high-temperature setting. You might consider alternating and standing up between sessions so that the muscles can actually absorb the heat in an efficient manner. How Hot Can a Heating Pad Get? As you’ve seen in our reviews, this characteristic is, for the most part, dependent on each product. Every item has a given temperature range within which it operates. At the same time, each brand has a specific approach to this; some brands have a wider temperature range than others. Nevertheless, as a rule of thumb, the temperature ranges between 140 degrees Fahrenheit and 160 degrees Fahrenheit. Concurrently, the hottest temperature might be somewhere around 175 degrees Fahrenheit. This applies in the case of dry heating pads. Things are a bit different when it comes to moist heating pads. More expressly, they could reach higher temperatures – of up to 180 degrees Fahrenheit. Still, generally speaking, moist heating pads are utilized primarily by trained professionals. 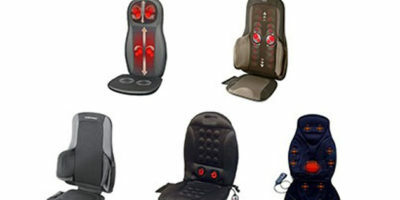 Even so, similar to massage chairs, which are accessible to a large variety of people, there are still some models that are made readily available to the public if this interests you. Yes, heating pads are safe. There are, of course, some contraindications that are worth noting. For example, they shouldn’t be used in the case of injuries, as they will imminently aggravate the conditions, as opposed to aiding in the recovery process. On the other hand, there might also be the issue of radiation emissions. And while some people might be concerned about this, there is no conclusive research suggesting that there might be a problem in this department. Now let’s briefly enumerate the main benefits associated with using a heating pad. Soothing body stiffness. Feeling stiff can be the result of sleeping in the wrong position or having a poor posture. A heating pad can address this issue by diminishing the sensation of stiffness. Relieving soreness. Heat therapy aims at promoting comfort while targeting sore muscles and allowing them to relax. Easing stress and tension. Many times, our number one enemy is stress or tension. It may also be the cause of back or shoulder pain. The warmth of the pad provides comfort, having a soothing effect on the targeted area. Addressing muscle spasms. Heat therapy does an amazing job at diminishing the severity of muscle spasms, by promoting the increase of blood flow. In essence, all the benefits we mentioned in the previous category apply when it comes to treating shoulder and neck pain with a heating pad. In short, this unit aims at diminishing the pain, eliminating the sense of restraint, reducing the severity of the aching, and promoting relaxation. Are Heat Pads Good for Neck Pain? Neck pain can be a drag. But when it’s chronic, things can get quite serious. You might be undecided between getting a massager that is designated specifically for this area or a heating pad. Which one is more efficient? 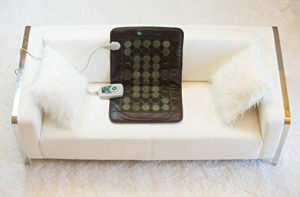 A massager aims at offering tension relief. Hence, if your posture is bad and you know that this makes you feel stiff – especially in the shoulder and neck area, a massager could really help. The way in which such a unit can help is through the fact that it stimulates the blood circulation, which imminently stimulates your muscles. Of course, the increased amount of oxygen will have a positive effect on your overall wellbeing. Does this mean that a massager is a better alternative than a heating pad? Not necessarily, since their functions are different. To that end, a heating pad does an excellent job at treating stiff muscles, chronic pain, and stress. For example, when the shoulder and neck pain has unclear causes, the odds are that you’ve accumulated a lot of stress, which, combined with tension and poor posture, causes chronic pain. In this view, note that heat can penetrate a couple of centimeters into the tissue. When the tissue temperature rises, the cells and biochemistry speed up as well. This is why a heating pad will do an excellent job of offering pain relief in the neck and shoulder area. Does a Heating Pad Help If You’re Dealing with Cramps? Absolutely – the answer is 100% positive. As a matter of fact, it is highly recommended to opt for a heating pad when you’re suffering from cramps. That’s because the heat does an excellent job at relaxing the muscle contractions. Hence, you will most likely experience instant relief from the pain and discomfort. This applies especially if you’re dealing with menstrual cramps, which are quite common among women. In fact, some experts actually indicate that applying heat on the affected area might have the same effect as taking ibuprofen. There are studies that highlight the efficacy of heat therapy in this respect. To that end, if you’re struggling with cramps, this might be the solution to your problem. Can You Use an Electric Heating Pad while Pregnant? In this respect, the answers feature contradicting opinions. For example, some experts outline that using a heating pad in the first two semesters of pregnancy is contraindicated. That’s because heat therapy can significantly increase body temperature, which is not safe for the baby. Of course, it is also worth noting that the temperature of the heating pad also plays an important part. That is to say, if you select a moderate temperature, then the risk could be notably diminished. For example, experts advise pregnant women against using hot tubes and saunas during early pregnancy. In the case in which they do take hot baths, they should limit the temperature to 120 degrees Fahrenheit. Aside from this, the duration of the bath should be reduced, as well, to a maximum of 10 minutes. When the overall core temperature of the body increases, this also grows the risk of miscarriage, as well as the likelihood of birth defects. Nevertheless, you shouldn’t be too worried as the risk is still considered quite small. Only when the body temperature rises so much that it causes fever should you actually have concerns. So, you might use a heating pad while pregnant, granted that you don’t use it at a high-temperature setting and for a prolonged period. Can electric heating pads cause cancer? Is there a connection between these two? Should you have any concerns in this department whatsoever? It’s always best to be precautious. However, there isn’t specific evidence underlining that heating pads cause cancer. Does this mean you’re off the hook? Not quite, there are still some concerns pointed out by experts. The thing is that heating pads, similar to other household appliances such as dyers, computers, coffee makers, and others, emit electromagnetic fields (EMFs). We’re referring to invisible lines of force that are emitted in the proximity of power cords, power lines – in short, any type of electrical equipment. For a while now, researchers have been concerned that these emissions might be harmful to humans, potentially increasing the risk of cancer. In spite of these doubts, there is still no clear evidence supporting such a thing. There are only a bunch of speculations and uncertainties. To be more specific, there are some sources that indicate that regular exposure to low-magnetic fields can harm DNA in brain cells. Even so, nothing is conclusive. For example, a common complication associated with the prolonged utilization of heating pad is the appearance of skin burns. Still, thermal deficits are more likely to occur in people that take sedative medication, or have sensory deficits, or, another common scenario is that of ingesting alcohol. With that in mind, things are still a bit unclear in this department; but based on what we know so far, the connection between the two isn’t clear. There are many solutions to dealing with chronic pain. In fact, there is this ongoing debate: is ice is more efficient than heat, when it comes to treating aches, muscle stiffness, so on and so forth? So, the answer is that there’s no one-size-fits-all kind of solution for all scenarios. For example, in the case of sports injuries, experts outline that ice might be a better alternative. At first glance, heat might seem like the most comfortable, convenient option, since it is warm, cozy and makes you feel good. Still, ice might be more efficient in the case of injuries. An injury is usually associated with an acute level of pain, swelling, and inflammation. In this case, if you apply heat, it will eventually perpetuate the cycle of inflammation. Thus, it might not solve the issue at all. Therefore, ice aims at minimizing the pain. Still, this doesn’t mean that heat therapy is ineffective altogether. Moist heat might be helpful as well; for example, you can apply it before stretching or other sports activities. On the other hand, in the case of arthritis, the conclusion is clear: heat therapy wins. When struggling with arthritis, this is the type of pain that persists. This is what makes heat a better long-term solution. Nevertheless, if the pain seems more intense and acute than usually – such as in the case of unprecedented gout glares – ice will do the trick. Does a heating pad reduce swelling? Chronic pain is oftentimes accompanied by swelling. This is why you might wonder whether using a heating pad might help with treating swelling or not. To that end, experts clearly point out that a heating pad doesn’t diminish swelling. It’s important to understand what is happening underneath the swollen area. When an area of the body is swollen, this means that the muscle tissue bleeds. Hence, if you apply more heat on that area, this will only increase the bleeding. This is why it is contraindicated to treat swelling with heat therapy. There is one exception to this rule, though – in the case of onset low back strains. In this case, a significant part of the pain is triggered by muscle spasms, as opposed to tissue damage. This is what makes heat helpful in this individual scenario. At the same time, if your pain is accompanied by swelling, a safe way of addressing this is through gentle warmth, as opposed to applying excessive warmth. You should also check the skin regularly, to prevent possible complications from arising. Should you sleep with a heating pad on? This is another common question that usually comes up. And the answer is negative: keeping a heating pad on your skin for a prolonged timeframe will burn your skin. Aside from this, there is another risk worth pointing out. In lines to official reports, roughly eight people die on a yearly basis due to electric heating pads. This merely points out that you should be cautious whenever you utilize a heating pad. Under no circumstances should you attempt to use it while you sleep. Of course, most state-of-the-art units come with a standard feature, which entails that the unit automatically shuts down after two hours. In this case, you are stress-free. Who should avoid using a heating pad? Are there any specific contraindications regarding the people that shouldn’t use a heating pad? As a matter of fact, there are. Considering the advice provided by professionals and by heating pad manufacturers, heating pads shouldn’t be used on swollen, injured areas. Aside from that, children under the age of eight years old shouldn’t utilize a heating pad. In addition to that, if you have hypersensitivity to heat, this means that heat therapy might be off limits for you as well. Persons suffering from diabetes, or with skin conditions, scarred skin, so on and so forth, should avoid heat therapy. Also, check out our choices for the most comfortable recliners out there! We are confident that, after reading our guide focusing on how to buy the best heating pad, you have all the information you need in order to make a sensible purchase. The market can be confusing, at first glance, at the very least – which is where our heating pad reviews come in, in an attempt to bring some clarity to this topic. Each of the products we carefully selected for this guide offers an excellent combination of features while providing a high degree of reliability. At the same time, we encourage you to consider all the information we presented throughout the guide. That’s because you should have all your facts straight before making a purchase. Each user has very specific needs, which is why there’s no product that can be just fit for everyone. Make sure you carry this in mind before taking the leap.